"Marriage is the next step in your life; seeing you married is my last task as a father," my dad said to me one afternoon as we watched CNN. That was the first time my dad had ever brought up marriage, let alone relationships, to me. I was 21, graduated from college, working a fulfilling job at the Mayor's Office and planning on starting law school that fall. Up until that moment, I thought I had done well for myself. However, from my dad's perspective, no matter how successful and independent I became, none of it meant anything until I was married. Arranged marriages are marriages planned and agreed upon by the families or guardians of the bride and groom, who have little to no say in the arrangement themselves. Normally, in South Asian communities, the parents discuss the matter amongst themselves and then have the prospective bride and groom meet. After they talk to one another, if both parties approve then it is expected they get engaged and married within a short time period. Any time a third party chooses a spouse for an individual, rather than two individuals choosing for themselves, an arranged marriage is in the works. My parents had an arranged marriage almost 34 years ago. My mom grew up in a big family. Among the four brothers and three sisters, she was the second oldest daughter. My dad was a close colleague of my mom's eldest brother and tutored my mom's youngest brother in math. I remember looking at their wedding pictures and telling my dad he was a lucky man to land my mom. My dad knew that the first time he saw my mom she was going be his wife. He was so confident in this outcome that he came back from London in the middle of finishing his master’s to interrupt a potential arranged marriage that would have taken place between my mom and a lieutenant. My mom is a ball of fire. She is independent, sassy, and sports a heart of gold. Ever since their marriage, my parents have started and ended every day with one another. The first time I ever saw them show affection was when my dad had his heart surgery. My mom held my dad's hand and asked for forgiveness if she had ever done anything. My dad responded with a smile and warm joke, "What could you have done wrong? We raised two kids in a strange land together." The first time my mom spoke to me about arranged marriage was this one day she decided to ask about my dating life. "What will law school and all your hard work mean if you can't start your own family," she asked as we prepped for our family dinner that evening. My older cousins were already married or had someone they were seriously dating. Being South Asian, my brother and I were constantly being compared to other people in our family. At some point, my mom had realized it wasn't healthy after my brother gave her the silent treatment over it. My dad still hadn't received that message, so he continued to engage in the "let's compare our kids to other people" behavior. For my dad, the issue of my marital status was about fulfilling his duties as a father; for my mom, it was about reputation. The older I became, the less it was about how I could provide for the family and more about who I would complete. She told me that if I liked someone to let her know, and that it was okay if I dated as long as she met them. It didn't take too long for my big brother to follow up on mom's message. The first time my brother talked to me about arranged marriage he said, "start looking now before they pick for you." My big brother (my only sibling) is nine years older. He is the person all the boys in our family look up to. A nuclear engineer, he’s incredibly smart and successful. He picked his own path, and, for as long as I could remember, my brother was what I would call a “serial dater.” He ended up settling down with someone who reminded me of my mom in many ways. She was beautiful, independent, and had carved out her success to complement my brother's lifestyle and ambitions. Arranged marriage was never written in the cards for my big brother; he knew he had the prize. True to his logical ways, he knew love transcended race and religion when he put on a ring on my sister-in-law’s finger after six years. As a first-generation Muslim immigrant, I don't believe I need marriage to complete me. When I see couples on my Instagram feed getting engaged, married, and having babies, I am incredibly proud, because I know that this next generation of parents will empower their children in ways our parents could not. I know the next generation of parents will not confine their children to pursue careers in STEM, but rather provide a safe space for their children to pursue their passions, whether it be entrepreneurship or fashion. As a first-generation Muslim immigrant, I am composed of multiple identities: I am Bengali. I am a woman raised by men who have taught me the power of hard work and executing visions. I am a future lawyer (contingent on passing the bar of course). I am an intersectional feminist. I find happiness in learning from others, growing with others, and supporting small business and my community on whatever platforms that they seek to conquer. 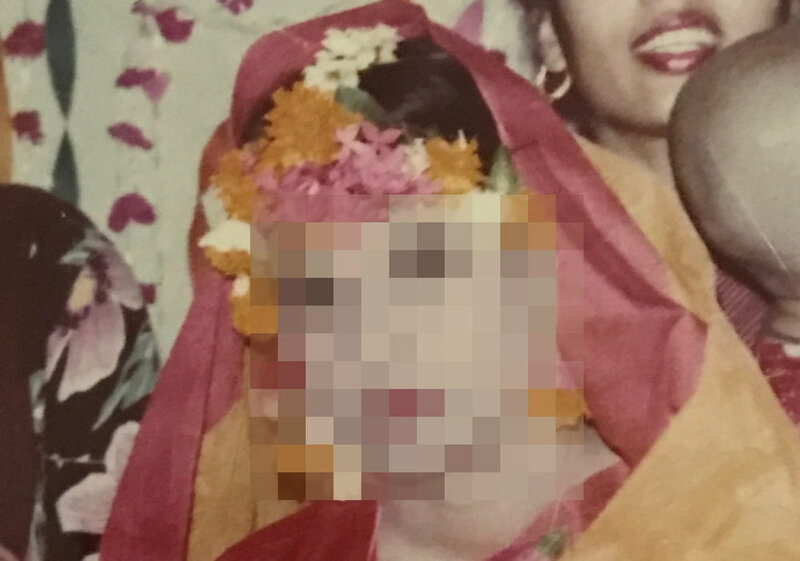 When I was 24, I met one arranged marriage prospect that my dad was rooting for. His dad had built the entire railroad system in Bangladesh, and he was working in Texas. I think my dad might have liked the son more than I did. After the son left, I told my dad absolutely not. He was upset. As a parent, he couldn't fathom why I would not trust his opinion in seeking the best for me. "Abbu, a marriage does not define me. A relationship does not define me." It was the first time I told my dad an arranged marriage was not in the cards for me. He was sad, disappointed, and I think he thought I would die single. "What did we work hard for? Your dad and I gave you and your brother this life, and all we want as parents is to see you married and happy. Is this what we get for bringing you to this country; you don't want to get married," my mom asked as we had breakfast the following morning. I had to take a moment to think about way to respond in a respectful manner — despite being extremely angry. "Ammu, you worked extremely hard for your career and to raise bhaiya and I. You did everything as a woman in Bangladesh defying the norms. You showed me you can have it all. Marriage will happen if it's meant to. If not, I will adopt and give you a kid." My mom was shook. She didn't talk to me for a week, and I am pretty sure she called my brother and complained to him about me in the process. Almost five years later, the idea of arranged marriage still does not resonate with me, despite watching my parents be the dynamic duo that they are. Arranged marriage almost serves as a business transaction between two families, elevating their status in the community. To me, arranged marriage represents South Asians holding onto their systematically oppressed roots. To me, arranged marriage represents the unification of two individuals who have committed to learning one another for the rest of their lives and settled on enduring the terrible habits that their partner may embody, because divorce is stigmatized in the South Asian community. But arranged marriages work for many, and they result in fruitful partnerships that otherwise would have never fostered. Unfortunately, my autonomy to choose my partner means more to me than appeasing my parents. It is the first of many battles for my identity that I am sure they will eventually understand — once I win, that is.